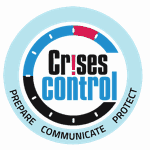 Crises Control is a cloud-based emergency mass notification application combined with a functional business disruption incident management platform. It was launched in 2014, after a significant period of development, by IT managed service provider and app developer Transputec that built the platform to initially serve its own clients. Crises Control now offers an award winning emergency mass notification system that has a number of unique features of direct relevance to the SME market, which has so far proved largely resistant to BCM software on the grounds of resources and costs. We now have a growing number of early-adopting customers on board. These are enterprises who all have a culture of seeking out the best-in-field solutions to their business problems and as result gaining an advantage over their competitors who are not so forward thinking. The feedback we are getting from these new customers tells us that they are happy with the choice they have made. After all, we were awarded the prestigious industry title of Most Innovative Product in the Business Continuity Awards 2016. We have brought together a small but expert team to develop, operate and market our exciting product. This includes a mixture of technology geeks who develop and operate the platform, marketers who are building our brand and reaching out to new customers and seasoned entrepreneurs who run the whole thing and plan how we will expand into a growing market. 1. Good planning begins with identifying risk. 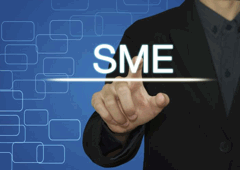 Knowing what risks you face as a business is the first step to mitigating them. 2. Incident specific action plans help you respond more effectively. When a crisis strikes you need an action plan that you can use in real time. 3. Ensure you have communication when you need it most. When your power is down or your network has been hacked, you must still be able to communicate. 4. Build your supply chain resilience by including your supply partners within your crises response platform. 5. Practice makes perfect. Test and test again, so that when you need it you are ready to respond quickly and effectively. To assist in getting the right kind of planning in place for your organization we have produced a white paper that provides more depth on the advice provided above. The global economy relies on a vast network of transportation systems and complex logistics to keep the movement of goods and people flowing smoothly. How can Intelligent Notification help keep this remarkable system on track? Effective notification involves more than just sending a one-way alert. You must be able to quickly determine who needs to know what, and your message must be adapted as your contacts respond. In entertainment and hospitality, messages must be informative yet discreet. Intelligent Notification technology handles these complex tasks, rapidly launching a message to groups of any size, whether in one location or spread all over the world. It uses MIR3 data management expertise and tools to pull information from various contact databases to make sure you’re always using the latest contact information. Intelligent Notification is used by the entertainment and hospitality sector for business continuity and disaster recovery (BC/DR), for emergency alerting, and to keep IT systems up and running. Manufacturing and supply chains must focus on the customer, but also have information easily available to business partners. How can this part of the businesses world use Intelligent Notification to streamline operations and maintain a competitive edge? Effective notification involves more than just sending a one-way alert. You must be able to quickly determine who needs to know what all along the chain, and your message must be adapted as your contacts respond. Intelligent Notification technology handles this complex task, rapidly launching or cascading messages to groups of any size, whether in one location or spread all over the world. MIR3 data management includes sophisticated tools to pull information from various databases to make sure you’re always using the latest contact information. Intelligent Notification is used in manufacturing and supply chain for business continuity and disaster recovery (BC/DR), for emergency alerting, and to keep IT systems up and running. The global economy relies on a vast network of transportation systems and complex logistics to keep the movement of goods and people flowing smoothly. How can Intelligent Notification help keep these remarkable systems on track? Effective notification involves more than just sending a one-way alert. You must be able to quickly determine who needs to know what, and your message must be adapted as your contacts respond. Intelligent Notification technology handles this complex task, rapidly launching a message to groups of any size, whether in one location or spread all over the world. It uses MIR3 data management expertise and tools to pull information from various contact databases to make sure you’re always using the latest contact information. Intelligent Notification is used by the transportation and logistics sector for business continuity and disaster recovery (BC/DR), for emergency alerting, and to keep IT systems up and running. Government agencies have enormous responsibilities to protect citizens, and wise use of mass notification tools can help keep lines of communication open no matter what transpires. How are some government agencies using Intelligent Notification to protect resources, save lives and meet regulations? Effective notification involves more than just sending a one-way alert. You must be able to quickly determine who needs to know what, and your message must be adapted as your contacts respond. Intelligent Notification technology handles this complex task, rapidly launching a message to agencies and other groups of any size, whether in one location or spread all over the world. It uses MIR3 data management expertise and tools to pull information from various contact databases to make sure you’re always using the latest contact information. Intelligent Notification is used by government agencies for business continuity and disaster recovery (BC/DR), for emergency alerting, and to keep IT departments up and running. 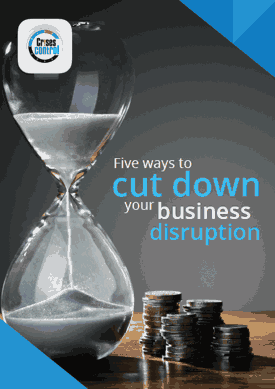 Every moment of system lag or downtime has an impact on your bottom line. How do IT organizations around the world using IT alerting to keep systems running smoothly? Effective notification involves more than just sending a one-way alert. You must be able to quickly determine which IT staff needs to know what, and your message must be adapted as your contacts respond. Intelligent Notification technology handles this complex task, rapidly launching a message to groups of any size, whether in one location or spread all over the world. It uses MIR3 data management expertise and tools to pull information from various contact databases to make sure you’re always using the latest contact information. Intelligent Notification is used by IT departments around the world to help meet SLAs, for emergency alerting, and to keep systems up and running. Schools and campuses carry a singular burden of responsibility in protecting the lives of students, staff, faculty and visitors. How are schools, colleges and universities using Intelligent Notification to effectively communicate with what is often a very mobile community? Effective notification involves more than just sending a one-way alert. You must be able to quickly determine who needs to know what, whether that includes students, staff, faculty or others, and your message must be adapted as your contacts respond. Intelligent Notification handles this complex task, rapidly launching a message to groups of any size, whether in one location or spread all over a large campus. It uses MIR3 data management expertise and tools to pull information from various contact databases to make sure you’re always using the latest contact information. Intelligent Notification is used by educational institutions for business continuity and disaster recovery (BC/DR), for emergency alerting, and to keep IT systems up and running. The field of healthcare is broad, covering pharmaceuticals, equipment, hospitals, nursing homes, clinics, research centers and much more. How is healthcare using Intelligent Notification to keep this huge system working at all levels? Effective notification involves more than just sending a one-way alert. You must be able to quickly determine who needs to know what, and your message must be adapted as your contacts respond. Intelligent Notification technology handles this complex task, rapidly launching a message to healthcare groups of any size, whether in one location or spread all over the world. It uses MIR3 data management expertise and tools to pull information from various contact databases to make sure you’re always using the latest contact information. Intelligent Notification is used by healthcare facilities for business continuity and disaster recovery (BC/DR), for emergency alerting, and to keep IT systems up and running. The world has never been as focused on the acquisition and management of energy resources as it is today. How are energy suppliers using Intelligent Notification to ensure safety, security, and continuity to their operations? Effective notification involves more than just sending a one-way alert. You must be able to quickly determine who needs to know what, and your message must be adapted as people respond. Intelligent Notification technology handles this complex task, rapidly launching a message to groups of any size, whether in one location or spread all over a job site or even the world. It uses MIR3 data management expertise and tools to pull information from various contact databases to make sure you’re always using the latest contact information. Intelligent Notification is used in the energy sector in times of severe weather and other emergencies for business continuity and disaster recovery (BC/DR), for emergency alerting, and to keep IT systems up and running. Financial institutions are subject to stringent regulations and rules of transparency. How do such institutions use Intelligent Notification to communicate effectively while scrupulously guarding the privacy of clients? Effective notification involves more than just sending a one-way alert. You must be able to quickly determine who needs to know what, and your message must be adapted as your contacts respond, all while maintaining strict security. Intelligent Notification technology handles this complex task, rapidly launching a message to groups of any size, whether in one location or spread all over the world. It uses MIR3 data management expertise and tools to pull information from various contact databases to make sure you’re always using the latest contact information. Intelligent Notification is used by financial institutions for business continuity and disaster recovery (BC/DR), for emergency alerting, and by IT departments to keep systems up and running. MIR3, Inc. is the leading developer of Intelligent Notification and response software, helping organizations enhance communication, protect assets and increase efficiency. You can replay the MIR3 Webinar that looks at the special considerations and challenges for Business Continuity that need to be addressed within Healthcare organisations.